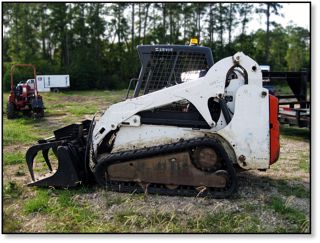 Performing preventative maintenance on your compact track loader or multi-terrain loader will save you thousands of dollars in repairs and down-time. At the Shop Talk Blog, we've put together a short guide to help you keep your CTL or MTL running smoothly, focusing on the track drive, undercarriage, and tracks. One of the most important maintenance tasks for a final drive is to regularly check the oil on the planetary side. Ideally, you should check the oil level in your final drive or track motor about once every 100 hours of operation, and change the oil out at least once a year. You will also want to check the case drain filter every 500 hours and replace it when you install a new or rebuilt drive. If the case drain filter gets clogged, then it results in an extreme pressure build-up in the final drive which has a domino effect that leads to expensive and irreparable damage to your track drive hydraulic motor. 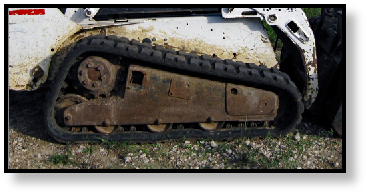 The undercarriage of your machine represents a significant portion of your O&O costs and most of the repair costs. It should be cleaned daily. If working in an environment full of abrasive materials such as gravel or clay, the undercarriage should be cleaned out several times a day. While this may seem extreme, remember that these types of materials can do the most damage to the key components in your undercarriage. If temperatures are expected to drop below freezing between shifts, then run the machine a few cycles in forward and reverse before you shut it down. The reduces moisture on the tracks and undercarriage that could freeze. 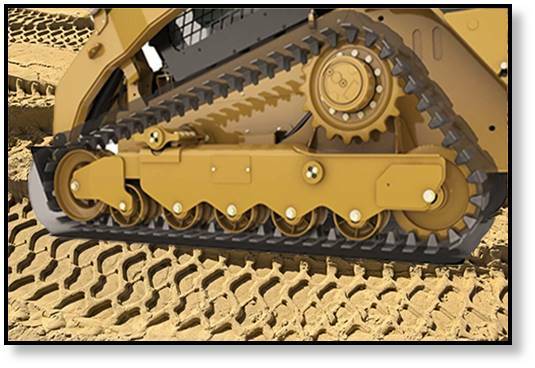 Your tracks represent another major investment for your machine. Not only can the tracks be expensive, but they can increase wear and tear on the undercarriage when not maintained correctly. The first rule of CTL track maintenance is check and adjust your track tension on a regular basis. If the track is too tight, it will cause premature wear of the undercarriage; if it is too loose, you can get a ratcheting effect where the track drive lugs will actually jump over the sprocket rollers. The importance of track tension cannot be overemphasized if you want to minimize your O&O costs. Also keep in mind that idlers and rollers, while they are sealed and lubricated permanently, are eventually going to wear out. Idlers, rollers, sprockets, and tracks should be checked and replaced when showing signs of excessive wear to prevent unneeded wear and tear on other parts of the undercarriage. In addition, avoid leaving fluids like grease and oil on the tracks; these fluids should be cleaned off as soon as they get on the tracks because they are not always compatible with rubber. Performing scheduled preventative maintenance on your CTL, whether its a Caterpillar multi-terrain loader or a John Deere compact track loader, is the key to extending its life and minimizing operating costs -- and that includes final drive maintenance, too. Remember to maintain your track drive motors, undercarriage, and tracks to keep your CTL running smoothly. Hydraulic drive motors are Texas Final Drive's area of expertise providing best-in-class new and reman final drive motors. What differentiates Texas Final Drive is our quality, our service and our warranties that gives us the distinction of best-in-class. Check out our latest reman final drive hydraulic motor inventory for John Deere CTL Compact Track Loaders or look up your manufacturer brand final drive.